The New York-based songwriter will perform her song, “The Sixth Floor,” and other original pieces during both presentations. In the early 1990s, New York-based folksinger and songwriter Christine Lavin visited Dallas and The Sixth Floor Museum at Dealey Plaza. She was so moved by being at the assassination site of President John F. Kennedy that she wrote a song about her experience while on the flight home. Lavin will perform “The Sixth Floor” and other songs and share her recollections of the assassination during The Sixth Floor Museum’s August Living History presentation. She will present on Friday, August 8 at 11:30 a.m. and again on Saturday, August 9, at 2 p.m. Tickets are free when combined with Museum admission or $5 for the program only. Advance tickets may be purchased online at www.jfk.org. Lavin has appeared in concert all over the U.S., Canada and points beyond, and her songs have been performed by artists as diverse as Betty Buckley, Sutton Foster, David Burnham and Andrea Marcovicci. She is currently working on her 21st solo album and last year co-produced her tenth compilation CD. For four years Lavin hosted “Slipped Disks” on XM satellite radio, playing CDs slipped to her backstage by compatriots. She also writes freelance for various publications, including The Washington Post, Huffington Post, The Performing Songwriter and Delta Sky Magazine. The Living History Series links the past to the present through firsthand accounts from reporters, law enforcement officials, musicians and everyday citizens who witnessed the assassination or other historic events of the early 1960s. Each presenter in the monthly series has contributed to The Sixth Floor Museum’s ongoing Oral History Project. 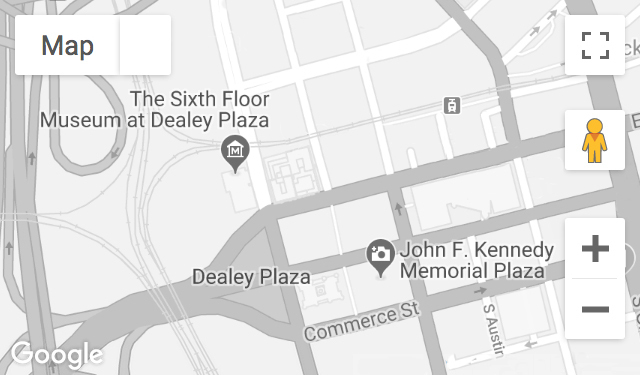 The Sixth Floor Museum is located at 411 Elm Street in Dallas’ Historic West End. For more information, go to www.jfk.org or call 214.747.6660.